Bend Craftsmen Company, LLC is a full service residential and small commercial general contractor, serving all of central Oregon. We specialize in remodels, additions, energy efficient new build and custom woodworking and carpentry. We also provide carpentry and custom woodworking services as well as project management and building consulting services to help your own project run smoothly. Bend Craftsmen Company is a leader in custom craftsmanship and sustainable building practices. We work with and connect our clients to some of the best and creative architects, sub-contractors and other suppliers and craftsmen in central Oregon. Building a green home is more than just putting solar panels on your roof or using non-toxic finishes. It is a complete, integrated process, thoughtfully approached and designed to maximize benefits for both the homeowner and environment. A big component of a home being “green”, is reducing energy costs. 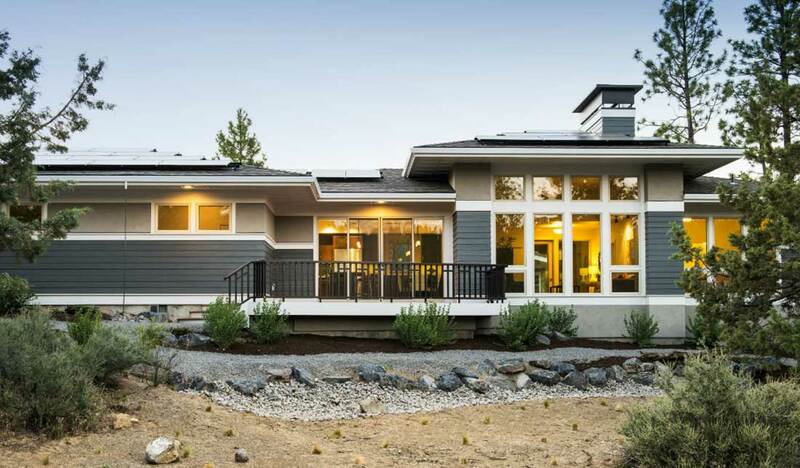 There are many ways to make a home more energy efficient and several different levels of third party certification a home can attain such as Net-Zero Ready, Net-Zero Certified and LEED Certifications. Hank Hill and Bend Craftsmen Company came very highly recommended by local friends. Hank built out a much needed office in unused space in my garage. I am very happy with Hank's quality of work and his professionalism. All work was done quickly and correctly. I highly recommend Bend Craftsmen Company and will use his services again in the future! The whole experience has been so awesome Hank... Hank showed up on time on on our first appointment to bid the job. His bid was very thorough - with progress dates for payments on the project. He cleaned up after yourself EACH time you were on the job site and removed garbage/ scraps daily (big plus). Hank is incredibly creative with challenges to unique issues- problem solving and finding solutions is HUGE in my industry - extending curtain rods, matching tiles, etc. His bids are reasonable- not crazy high, but good value for your skills and craftsmanship of a licensed/ bonded carpenter. We hired Hank to do a complete remodel on the master bath of our house. He quickly visited us to discuss our options and provide a detailed estimate with a reasonable cost. Whenever we requested changes to the project, he was quick to amend the contract. He was very communicative about when workers would and would not be on site and was very responsive when we had any questions. Most of all, the project was completed is a reasonable time frame with high quality work. We would absolutely hire Hank again for a renovation project!